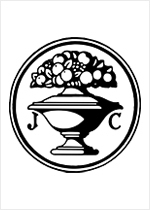 Today, Jonathan Cape is an imprint of Random House UK, but it was once a prominent independent British press. It was founded in 1919, as "Jonathan Page and Co." It had an impressive list of authors, including T.E. Lawrence, Roald Dahl, and Ian Fleming. The Cape imprint at Random House UK continues that line of excellence today, with authors such as Biyi Bandele and Rutu Modan.